The pulleys are suitable for stringing conductor max up to ACSR500. 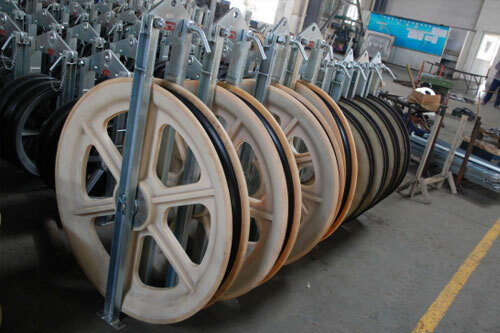 The pulley wheels are made of aluminium alloy / MC nylon mounted on ball bearings; the groove is lined by a neoprene ring or by wear-proof interchangeable nylon or aluminium wheels. The frame is made of galvanized steel. 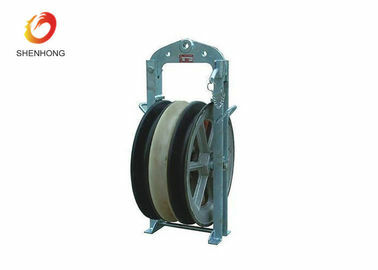 The pulleys can be supplied with three types of connections: fixed(B), swivel-type(C) or with a hook supplied with safety lock(D). Grounding device or complete conductive sheaves can be supplied on demand. Our 660mm Large Diameter Stringing Block is fitted with the maximum suitable conductor LGJ500. That is to say, the aluminum of this conducting wire possesses the cross section of at most 500 square millimeters. In addition, the block dimension (outside diameter*root diameter*sheave width) is Φ660× Φ560× 100 (mm). The middle steel sheave of both 10122 and 10123 types has a width of 90mm. We can also supply the middle nylon sheave with the width of 90mm for option. 1. 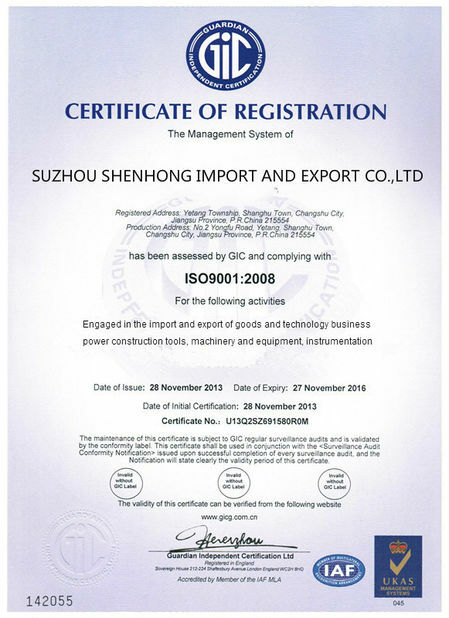 The machines will be shipped in container. ​1. We accept T/T and L/C. 2. Please send swift copy of T/T if you arrange payment by T/T. 3. 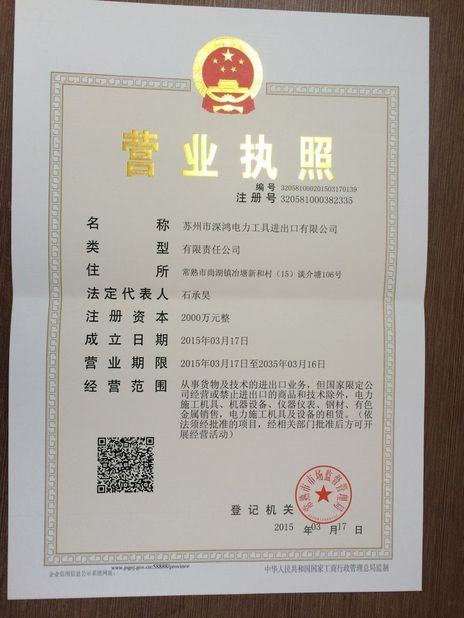 25 years of production experience and more than 1000 customers in the country and abroad market. The machines have been sold to more than 20 countries. 5. Detailed pre-sales service and fast active after-sales service. Response within 12 hours after-sales service.